自動安裝模式僅支援使用內建的硬碟。如過您是使用 USB 裝置 If you want to use an external USB drive as your system drive, you need to use the Expert mode and manually create the partitions. See our FAQ for more detailed instructions about how to setup an external USB drive as the main drive. 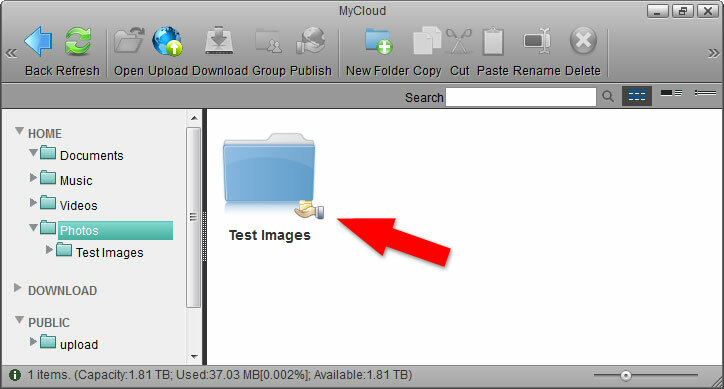 The MyCloud requires one drive to be setup as its system drive, preferably an internal drive and not an external USB drive. The file system that is used for that drive is XFS, so if you remove the system drive from the MyCloud, you need another system (e.g. 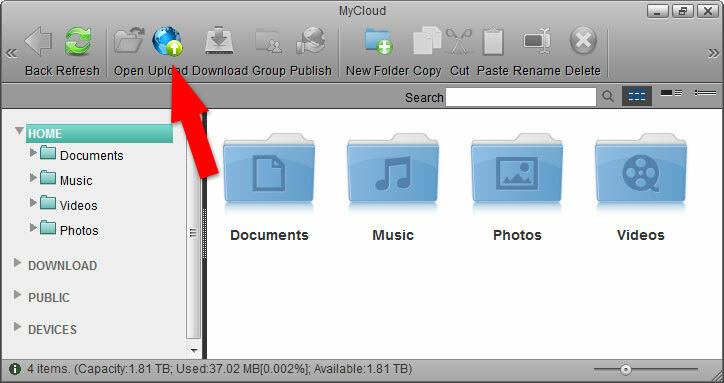 Linux) that is able to recognize and access that format if you would like to extract the data from the drive without the MyCloud. Once the system drive has been setup, you can start uploading your digital media files to the network drive. The HOME directory with its predefined folders for documents, music, photos and videos is for your private files. The PUBLIC directory is for files that are shared among the users that have access to this device (by default, this is only the administrator). 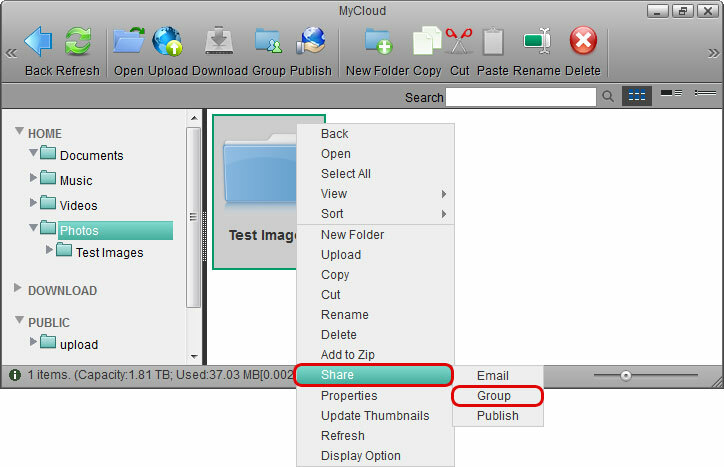 Depending on the files types you want to upload, select one of the predefined folders (e.g. Documents, Music, Photos, Videos). Select one of the available upload methods. If in doubt, select the traditional form upload. This will work on most browsers but you will have to upload the files one at the time. 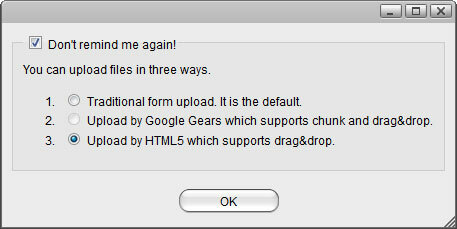 Instead, if you are running one of the more recent browsers, select Upload by HTML5, which allows you to drag and drop multiple files directly into the upload window. 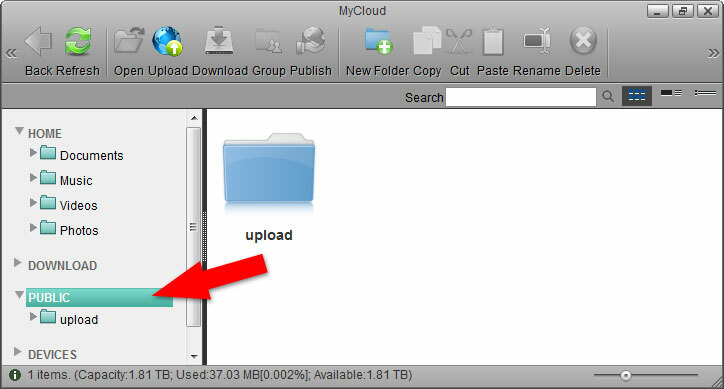 Uploading files via web interface is only one of many different ways you can upload your files. On the home network, the easiest and fastest method is to mount the network drive via SMB. 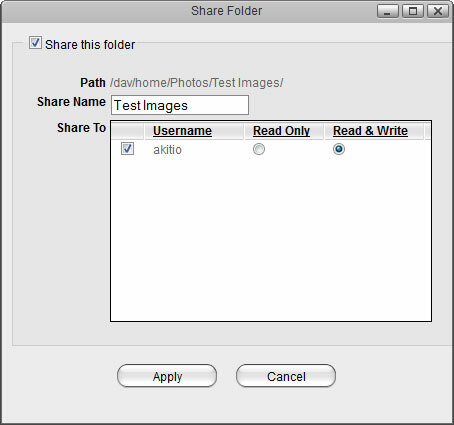 See File Management > Samba for PC users and File Management > Samba for Mac users. For mobile devices, download and install the free MyCloud App, which is available for iOS and Android. To read more about the available methods that you can use to manage your files, see File Management > Overview. Once you have uploaded your digital media files, you can setup the media server and the music server to stream your music and videos on the home network. The media server streams your files to other UPnP-AV and DLNA compliant clients (e.g. PS3, Xbox360, Windows Media Player, etc.). To find DLNA compliant media devices that can play your media files on the network drive, look for the “DLNA Certified” logo or use the Product Search on the official DLNA website. In the toolbar, click on Preferences. Make sure the service is enabled and running. Click Add to select the folder(s) where your media files are stored. If needed, you can add multiple folders. The media server will scan for all the compatible media files in those directories and then stream them to the other UPnP-AV compliant devices on your home network. For more information, see Preferences > Media Server and File Management > Media Server. 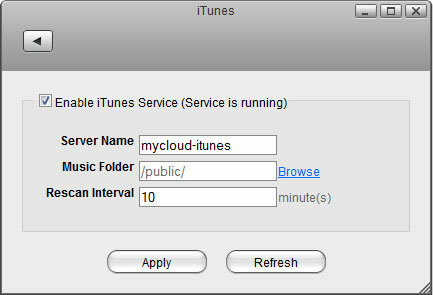 The iTunes music server streams music files that are located on the network drive to iTunes users on the home network. Simply install iTunes on your PC or Mac and use it to playback the music files on your network drive. 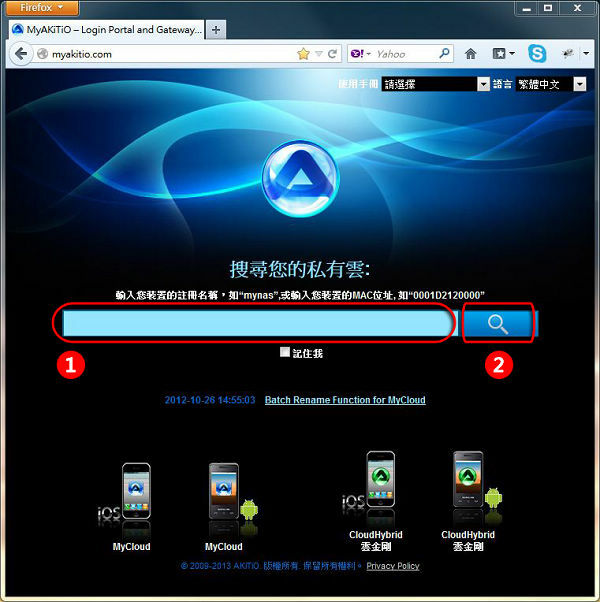 Click Browse to select the folder where your music files are stored. For more information, see Preferences > iTunes and File Management > iTunes. There are several ways you can share files with your family and friends but before you start, it's easiest to give them a user account on the network drive. 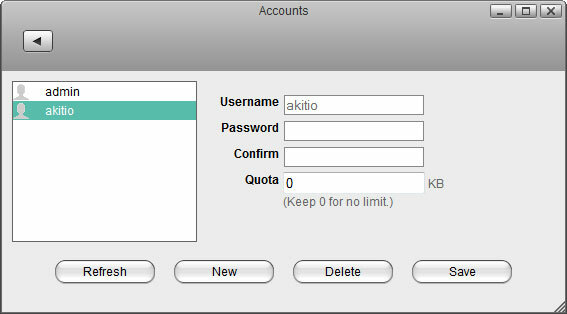 For more information about user accounts, see Preferences > Accounts.